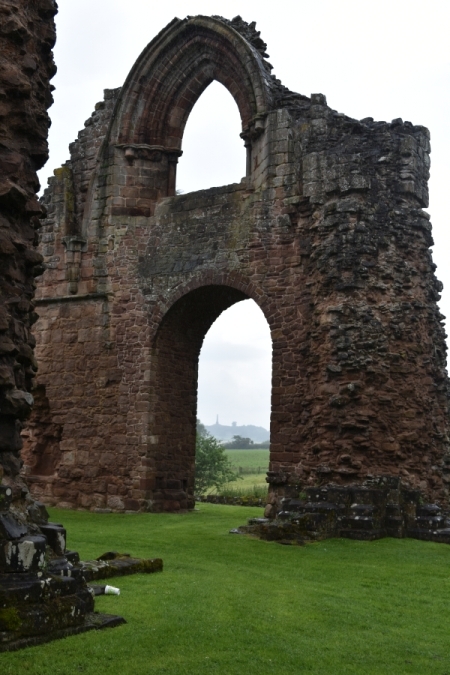 The ruins of Lilleshall Abbey sit in peaceful countryside six miles north of the city of Telford in Shropshire. Like many such, they tell a story of the rise, decline, and eventual dissolution of a religous community. I always look forward to visiting abbeys and priories. It could be the architecture, the sheer scale of the buildings, their locations, or just the sense of peace and tranquillity that surrounds many of them. I often wonder what it would have been like living in such a community, and also think of how quickly it was all destroyed around 500 years ago. 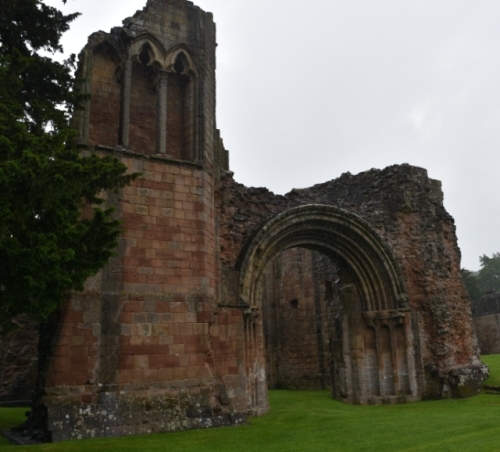 Lilleshall Abbey had been on my to do list for many years, not necessarily for its beauty or history, but more probably because the British Cycling Federation, as it was known when I was younger, often held training sessions at the National Sports Centre in Lilleshall. 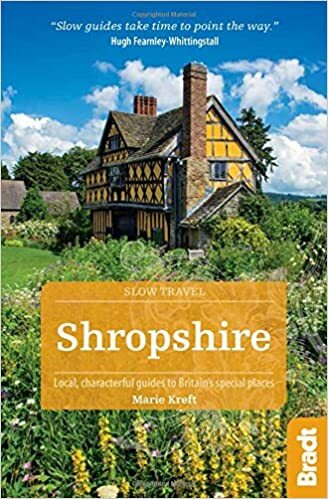 I never got to any of these sessions, but did look up where Lilleshall was on a map and noticed Lilleshall Abbey. So it’s only taken around 35 years for me to visit Lilleshall and on our chosen day the rain was pouring down and the ground was sodden. It meant we had the site to ourselves. Lilleshall Abbey was founded around 1148 by Richard de Belmeis for a group of Augustinian canons relocating from Dorchester Abbey in Oxfordshire. The original group of canons would have numbered around 15 and at first they would have lived in temporary wooden buildings on the site. These canons would have followed a monastic life, preached in local churches and embarked on Parish duties. 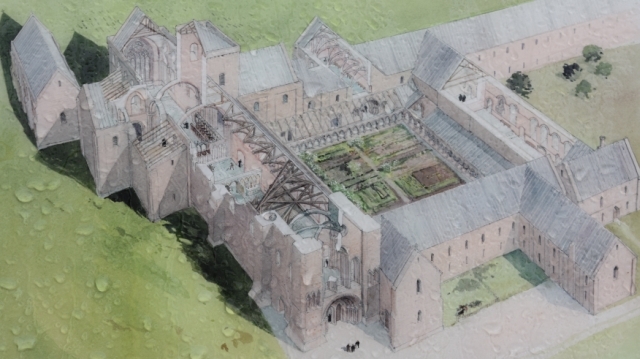 Lilleshall Abbey - its community, church, and extensive monastic buildings - couldn't have been created without the large donations given by wealthy benefactors. In the century following its foundation the abbey became a religious community of great reputation and prestige. It accrued income from the estates, farmland, properties, and water mills that it owned, and also tolls from Atcham Bridge over the River Severn. It had such good standing that King Henry III visited twice. Poor financial management threatened what had been so carefully built. 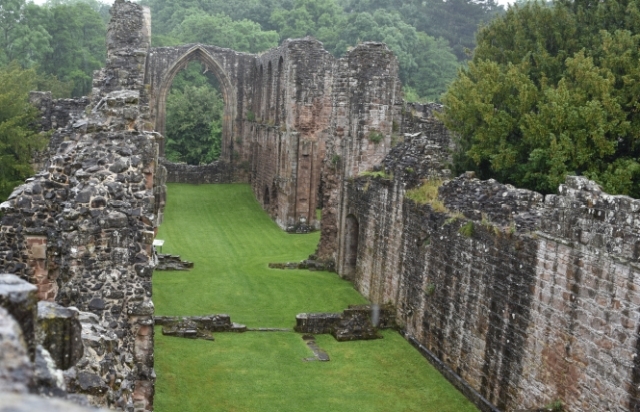 By the early 14th century the abbey was heavily in debt, and the community fell into decline. 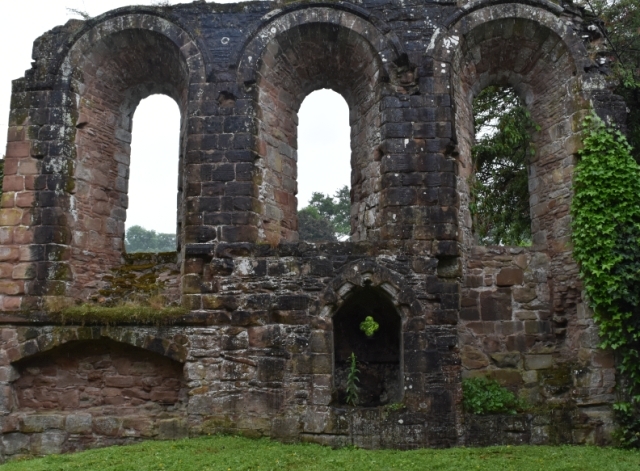 By 1400 about 10 canons were left at Lilleshall, and the community it remained like this until 1538 when the abbey was closed as part of Henry VIII suppression of England's monasteries. 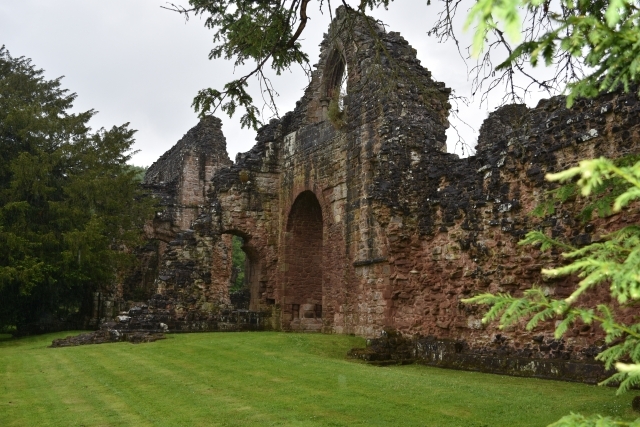 Records from the suppression of Lilleshall Abbey show that there were only 9 canons, 43 servants, and a school teacher inhabiting the site. I never realised this before, and maybe Lilleshall was a special case, but they were compensated for their eviction. The abbot was given a house and pension, the canons a pension and small lump sum, and the servants were given small sums of money. 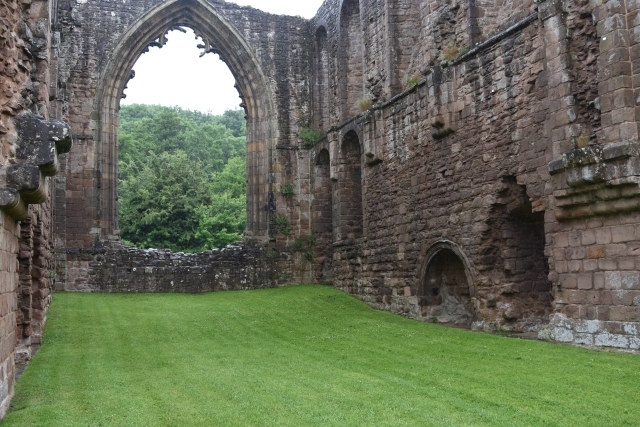 The buildings of the abbey were stripped of anything that was valuable. The sale included flooring materials from the church, lady chapel, chapter house and cloister, glass windows, and roofing timbers. In all, the contents of the abbey were sold for around £75. After the suppression, the site was initally owned by the Cavendish family, but they sold it a year later to James Leverson of Wolverhampton. The Leverson family lived in a house on the abbey site until the mid 17th century. If you would like to see some of the original choir stalls from the ruined abbey church then you will have to visit St. Peter’s Collegiate Church in Wolverhampton to whom James Leverson donated them. Already ruined, the abbey was damaged even further during the Civil War of 1642-1651. On the request of King Charles I, Sir Richard Leverson fortified the abbey site, and in 1645 the abbey suffered a two week long siege between the defending Royalists and attacking Parliamentary forces. A ditch to the north of the abbey and evidence of casting lead shot inside the refractory area are the only signs that remain from the siege. The abbey was left in a ruinous condition and decay set in. 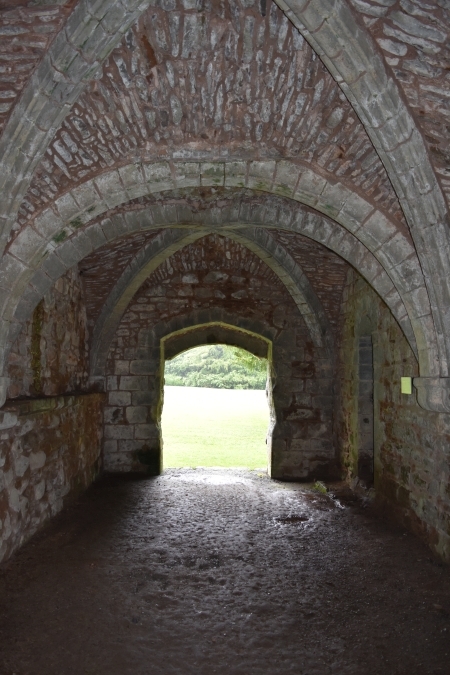 The quality of the abbey construction is shown in this photo of the processional doorway from the cloister into the church. It is beautifully decorated with a chevron pattern, but on the other side of the doorway there is no pattern. The Middle Ages aren't widely known as a period where people planned for their retirement. Except... they did. People who had the means but maybe no family to look after them in their later years would offer a gift of money or grant of land to a religious house in exchange for care, food and shelter. This kind of pension scheme was called a Corrody - and offering them overly enthusiastically was one of the reasons behind Lilleshall's financial downfall. While the land and funds were clearly welcome, having too many pensioners to care for could turn into a severe financial burden. Especially if those pensioners lived a long life. A problem that pension providers and insurance companies still struggle with today. 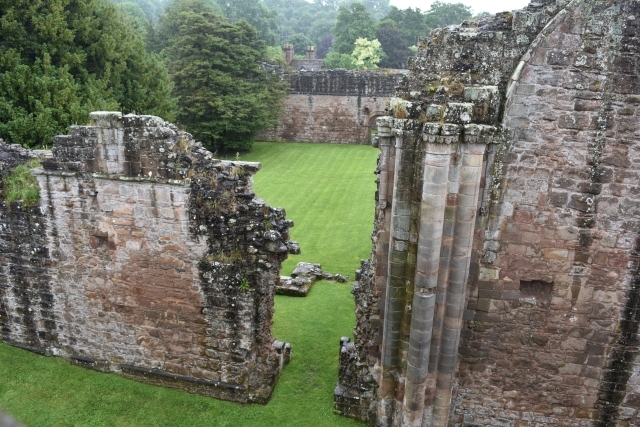 If you would like more information about Lilleshall Abbey, its opening times, and events then please use this link to the English Heritage website. 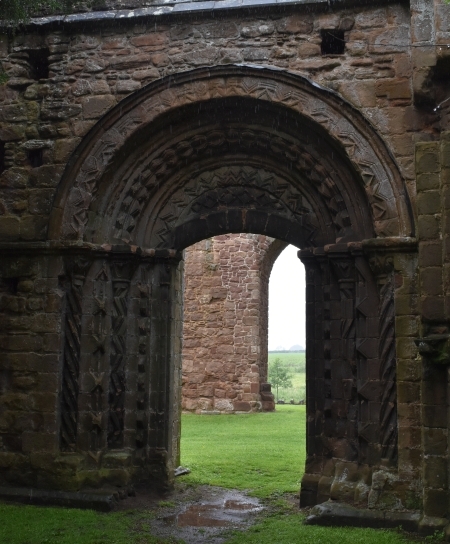 If you have enjoyed reading about Lilleshall Abbey and look for other ideas for days out, then please click here to explore our Shropshire page.